2. “I think that songs primarily are for courting, for finding your mate. For deep things. For summoning love. For healing broken nights, and for the central accompaniment to life’s tasks. Which is no mean or small thing.” (from Songwriters on Songwriting by Paul Zollo). 6. “A line will have a kind of rhythm that will indicate, at the very least, where the voice will go up and where the voice will go down. I guess that’s the rudimentary beginnings of what they call melody.” (from Songwriters on Songwriting by Paul Zollo). 8. “[When I finally finish a song] there’s a wonderful sense of done-ness. That’s the thing I like best. That sense of finish-ness.” (from Songwriters on Songwriting by Paul Zollo). 10. “I’m very grateful to have stumbled into this line of work. 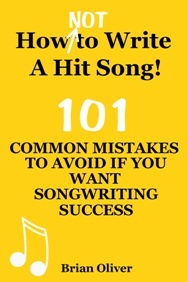 It’s tough but I like it.” (from Songwriters on Songwriting by Paul Zollo).